Background: One of the most sensitive and stressful, yet important, occupations is that of the nursing population; the study of their physical, mental and psychological health as the basis of primary health care services is of special importance. Of course, attention to their health and assessment of their problems causes to create motivations and effective interventions in maintaining human resources and their job performance. Therefore, the aim of this research was to compare job performance, occupational stress and general health among nurses in the psychiatric and emergency departments. Methods: The statistic population of this research is nurses from the Hospital Milad, Erfanian and Iranian in Tehran. 270 people were selected to distribute the questionnaire. In order to analyze the data, inferential statistics and independent t-test were used. The results were analyzed by SPSS software. Results: Based on testing hypotheses, according to the first hypothesis, the job performance varies among psychiatric department nurses and those of emergency one; according to the second hypothesis, the occupational stress is different between psychiatric department nurses and those of emergency one. Finally, according to the results of the third hypothesis test, the general health is different for psychiatric department nurses and those of emergency one. 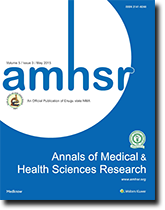 Conclusion: The results of this research indicate that there are differences between the three structures of occupational stress, job performance and mental health in the two emergency and psychiatric departments of hospitals Milad, Erfanian and Iranian. Nursing is one sensitive and tense, yet important occupation; studying the status of physical and mental health of nurses as infrastructure of primary health care in the world is very important and certainly paying attention to their health and evaluating their difficulties causes to create motivations and effective interventions in maintaining human resources and their job performance as the most important part of the health system’s capital. The occupational safety and health organization believes that hospital staff suffers from lifethreatening injuries and many diseases accompanying with hard word. In other words, compressed program, official business, working with complex and sometimes corrupt equipment, complex hierarchies of power and skill, expectations and desires, and mortality causes that hospital staff experiences a high level of stress. [2,3] Nursing is one of the occupations in which the occupational stress is commonplace. Occupational stress is a condition that disorders a combination of factors that nurses face. These factors include physical, mental or social equilibrium. Mental health causes the personal and social mental growth and health, prevention of mental disorders, appropriate treatment and rehabilitation. Researches have shown that mental health problems are one of the major problems that cost a lot. One of the factors influencing health is stress. The stress is the body’s response to the events that cause fear, excitement and feelings of danger or anger. In the life of all people who have a job there is stress in different ways. There are many stress factors in the nursing profession whose psychological pressures are associated with undesirable effects on both the individual and the organization. Occupational stresses in this profession can lead to diseases and disorders that seriously endanger the health of nurses. Researches have also shown that a permanent encounter with patients, having human health responsibilities, performing clinical processes, being exposed to patients who are dying, facing emergency situations, and switching are some stress factors of this profession; they can cause the reduction of health care quality, depression, fatigue, absence and delay in work. Neuropsychiatric stresses have attracted the attention of physicians, psychologists, and scientists of behavioral and management sciences as the most important cause of mental, physical and behavioral diseases of humans. The importance of stress is not only due to its economic damage, but also its negative effects on the physical and mental health of individuals. Nowadays, it has become clear that the stress is associated with many physical and mental illnesses, or is involved in its creation and development. The other dimension that makes people interested in studying stress is the relationship between stress and performance. However, in general, the stress has created a negative image in people, but in order to perform optimally the tasks, the humans need a balanced level of stress, because without stress the people do not have the necessary effort to do things. The occupational stress of nursing is associated with a high level of physical and mental diseases for nurses and affects their mental well-being. Also, public health as one of the pillars of development of human society and a factor of maintaining the dynamism of individuals must be taken seriously. As a result, in this research, we tried to evaluate and compare the job performance, occupational stress and general health in psychiatric nurses and emergency wards of hospitals of Milad, Erfan and Iranian in Tehran. Our research is conducted by a descriptive-survey method and is an applied one. The nurses of hospitals Milad, Erfanian, and Iranian in Tehran are the statistical population of this research conducted in 1995-96. Two library and field methods have been used in combination for collecting data. D: The value of licit error. Therefore, in the above formula, the maximum acceptable error (d) is considered to be equal to 0.05, confidence coefficient equal to 0.95, t = 1.96, and the values of p and q are each equal to 0.5 and population size = N. The value of P is equal to 0.5. Because if P = 0.5, then n reaches its possible maximum, which will cause the sample to be large enough. On the other hand, the size of population in this research, which is nurses of hospitals Milad, Erfanian, and Iranian in Tehran, is 897 people. Using Cochran formula with an error percentage of 0.05, 270 samples are selected to be used for the distribution of the questionnaire. A closed questionnaire was used to collect data. The questionnaire was prepared based on the Likert spectrum. The factors related to the subject were identified using the opinion of the research committee experts and professors, and the questionnaire was prepared using the Likert grading scale. After determining its validity, the final questionnaire was prepared and the required information was collected. In this research, the questionnaire has been validated by the conceptual validity. The researcher, referring to the views of experts and professors including the supervisor and counselor, verifies the validity of his measuring instrument, in assuring the variables of the research. The calculated Cronbach’s alpha coefficient in this research was calculated in a preliminary study by distributing 25 questionnaires being equal to 0.881. Therefore, the reliability of questionnaire has been evaluated as to be highly desirable. The statistical methods used in this research can be divided into two groups of inferential and descriptive methods. T-test was used to examine the significance of the difference in mean score of respondents’ opinions based on gender. The data were analyzed using SPSS software. From between 270 respondents, 190 people (70%) were female and 80 people (30%) were male. 74 respondents are under the age of 30. 95 respondents are of 30 to 40 years old and have the highest frequency. The age range of 40-50 years old, with 74 people, constitutes 27% of the sample size, and 27 people of them are over the age range of 50 years old. 42 respondents have a record of less than 5 years of service. Persons with a record of 5-10 years old, with 84 people, had 31% of the sample size. 98 respondents were of a record of 10- 15 years old and constituted highest percent of sample size. 46 people have more than 15 years of service experience. In this research, Kolmogorov-Smirnov and Shapiro-Wilk techniques were used to determine the normal distribution of data. The assumption of the normality of the data was tested at a significant level of 5% using the Kolmogorov-Smirnov technique. As shown in Table 2, in all cases the significance value was obtained as to be greater than 0.05. Therefore, the distribution of research data is normal and parametric tests can be performed. Table 2: Test results of normality of data. Table 3 contains descriptive statistics for all variables used in the research. In the first section, the most important central indices and dispersion of variables have been presented. The items of this table have been calculated using SPSS software. Table 3: Descriptive statistics of research variables. Independent t-test was used for assessing job performance among psychiatric and emergency wards nurses. According to the results of this test and with regard to P value, it can be concluded that job performance among nurses in psychiatric and emergency departments of Hospitals Milad, Erfanian and Iranian are different [Table 4]. Table 4: Studying job performance among nurses of psychiatric and emergency departments. Independent t-test was used for assessing occupational stress among psychiatric and emergency wards nurses. According to the results of this test and with regard to significance level of P, it can be concluded that occupational stress among nurses in psychiatric and emergency departments of Hospitals Milad, Erfanian and Iranian are different [Table 5]. Independent t-test was used for assessing general health among psychiatric and emergency wards nurses. According to the results of this test and with regard to significance level of P, it can be concluded that general health among nurses in psychiatric and emergency departments of Hospitals Milad, Erfanian and Iranian are different [Table 6]. To evaluate the effect of demographic characteristics of respondents on the research findings, the independent t-test and ANOVA were used. Table 5: Studying occupational stress among nurses of psychiatric and emergency departments. Table 6: Studying general health among nurses of psychiatric and emergency departments. Independent t-test was used to measure the significance of difference in the mean score of respondents’ opinions based on gender. Significant value of P was less than 0.05, which shows the difference between men and women’s viewpoint regarding each of the three variables of job performance, occupational stress and general health in two psychiatric and emergency departments of Hospitals Milad, Erfanian and Iranian. That is, women and men have different attitudes toward these indices. Therefore, it can be concluded with certainty that the attitude of women and men about the three variables of job performance, occupational stress and general health in the emergency and psychiatric departments is different [Table 7]. Table 7: Gender-based attitude about three variables of job performance, occupational stress and general health. The respondents in this study were divided into four groups in terms of their work experience. ANOVA has been used to compare the differences in the viewpoints of people based on their work experience. Regarding the findings of Table 8 and the calculated significance value, the mean score of respondents’ comments based on their work experience in the four groups had not any significant difference in none of dimensions of the research at error level of 5%. Thus, we can say with 95% of confidence, that regarding work experience the respondents’ viewpoints are similar in terms 3 variables studied among nurses of two psychiatric and emergency departments of the hospitals Milad, Erfanian and Iranian. Table 8: Test results of variance analysis for work experience. The respondents in the present study were divided into 4 groups according to age. ANOVA was used to compare the differences between people’s views on the basis of age. Regarding the findings of Table 8 and the calculated significance value, the mean score of respondents’ comments based on their age in the four groups had not any significant difference in none of dimensions of the research at error level of 5%. Thus, regarding age, the respondents’ viewpoints are similar on these 3 variables [Table 9]. Table 9: Test results of variance analysis for age. Nowadays, the efficient, satisfied and loyal manpower has become the most important asset of organizations, hence the urgent need to maintain high-performance employees with a high commitment to the organization is felt. The most important factor for improving the organization’s performance is the improvement of the job performance of the employees; it is related to management skills in establishing the right communication. Therefore, considering the importance of job performance of employees in this research, this structure was investigated in two emergency and psychiatric departments of hospitals Milad, Erfanian and Iranian. Results showed that job performance was varied between the nurses of two psychiatric and emergency departments of hospitals Milad, Erfanian and Iranians. Contrary to the researches of this study, which examined job performance in the hospitals mentioned, many previous researches have examined the factors affecting the job performance in the healthcare sector and other organizations. Vosooghi Nayeri et al studied in their research the effect of occupational stress on general health and job performance of flight attendance personnel. The results of this research showed that there is a negative and significant relationship between workspace-related stress and job performance. This means that with increasing occupational stress, job performance decreases. Also, general health has a mediating role in relation to stress caused by work environment and job performance. Finally, job stress has an impact on employee performance. Explaining these findings, it can be said that stress affects a large part of the lives of employees in the work and organizational environment, and if it does it last long or the amount of stress is high, the person is gradually tired and the condition continues to decrease the physical and mental energy of the individuals and endangers general health, weakens the ability of the people and, consequently, reduces the employees’ job performance. Regarding the fact that the health is the fundamental right of every human being and is a social goal and all governments and organizations are obligated to provide health to individuals, the health of nurses, which is an important part of the health system of every country, should be taken into consideration due to several reasons, including their being exposed to more risk compared to other people. Considering the importance of nurses’ health as the main members of the health system of the country, which are responsible for maintaining the health of themselves, family and society, and since nurses’ health is directly related to their quality of care in patient care, this subject in the present research has been investigated in two emergency and psychiatric departments of hospitals of Milad, Iranian and Erfanian. The results indicate that general health is different among psychiatric department nurses and those of emergency one. Namazi et al also investigated the general health among nursing and architecture students. The results of the research showed that there was a significant difference between the mean score of general health in nursing students and that of architecture ones;  also in the present research the general health between nurses of psychiatric ward and emergency one was different. In this study, considering the increase in the average of each index of job performance, occupational stress and general health among psychiatric department nurses as compared to the emergency one, it was found that these indices in psychiatric nurses are significantly higher than the emergency department. There are many stressors in nursing profession whose psychological stresses affect undesirably both the individual and the organization. Occupational stresses in this profession can lead to diseases and disorders that seriously threaten the health of nurses and affect their job performance. According to the results of the research, it was determined that job performance, occupational stress and general health are greater in the psychiatric than the emergency department. This means that job performance, occupational stress and general health of nurses in psychiatric ward were more affected. Wu HM, Liu PF, Ho HH, Chen PL, Chao HL, Chen HL. Reducing occupational burnout and enhancing job performance in new nurses: the efficacy of "last mile" programs. Hu Li Za Zhi. 2012;59:30-42. Herman AM, Jeffress CN. Occupational safety and health administration. 1980. Hosseini Z, Dr Hazavehei MM, Imanzad M, Ghanbarnezhad A, Gharlipour Z. Occupational Stress and Mental Health Relationship in Nurses. Advances in Nursing & Midwifery. 2013;23:55-62. Khamisa N, Oldenburg B, Peltzer K, Ilic D. Work related stress, burnout, job satisfaction and general health of nurses. Int J Environ Res Public Health. 2015;12:652-666. Eslami Akbar R, Elahi N, Mohammadi E, Fallahi Khoshknab M. How do the nurses cope with job stress? A study with grounded theory approach. J Caring Sci. 2017;6:199-211. Santangelo P, Procter N, Fassett D. Mental health nursing: Daring to be different, special and leading recovery-focused care?. Int J Ment Health Nurs. 2018;27:258-266. Devries MW. Stress, work and mental health: A global perspective", Acta Neuropsychiatrica. 2003;15:44-53. Payameni SH. Stressors and adaptive methods in Khoramabad educational hospital nurses". Journal of Yaft-E. 2012;9:49-52. Peters M, Jenkinson C, Doll H, Playford ED, Fitzpatrick R. Carer quality of life and experiences of health services: a cross-sectional survey across three neurological conditions. Health Qual Life Outcomes. 2013;11:103. Cassidy T. Stress, cognition and health: Psychology Press, 1999;145-170. Rhodes J, Smith B. Combat stress. Marine Corps Reference, 2000;16-40. Doyle CE. Work and organizational psychology: An introduction with attitude: Psychology Press. Taylor & Francis Group, 2003;106-111. Kirkcaldy BD, Martin T. Job stress and satisfaction among nurses: Individual differences. Stress Med. 2000;16:77-89. Saatchi M, Kamkari K, Askariyan M. Psychological Tests, 2010. Editing Publishers. Hatami M. Determining the stresses of employed and non-employed mothers in terms of maternal-child characteristics and the effect of stress-relief therapy on its reduction. Ph.D Thesis in Psychology, Allameh Tabatabai University of Tehran 1998. Goldberg, DP. Hillier VF. A Scaled Version of the General Health Questionnaire. Psychological Medicine. 1979;9:139-145. No authors listed. Understanding the effect of organizational justice dimensions on various aspects of job satisfaction and organizational. Journal of Business Management. 2007;1:55-70. Vosoughi Niri A, Ruhollahi A, Mohmmad Hosein H. A survey of effect of job stress on general health and job performance on Air Traffic Controllers (ATC). IOH. 2016;13:47-57. Jamal M. Job stress, job performance and organizational commitment in a multinational company: An empirical study in two countries. International Journal of Business and Social Science. 2011;2:20-29. Yada H, Abe H, Omori H, Ishida Y, Katoh T. Job-related stress in psychiatric assistant nurses. Nurs Open. 2017;5:15-20. Aghilinejad M, Attarchi MS, Golabadi M, Chehregosha H. Comparing stress level of woman nurses of different units of Iran university hospitals in autumn 2009. JAUMS;8:44-48. Kelbiso L, Belay A, Woldie M. Determinants of quality of work life among nurses working in Hawassa town public health facilities, South Ethiopia: A Cross-Sectional Study. Nurs Res Pract. 2017;2017:5181676. Namazi A, Alizadeh S, Kouchakzadeh Talami S. General health in nursing and midwifery students and its relationship with academic achievement. JNE. 2015;4:11-18.